On the morning of December the 17th 1903 something amazing happened. 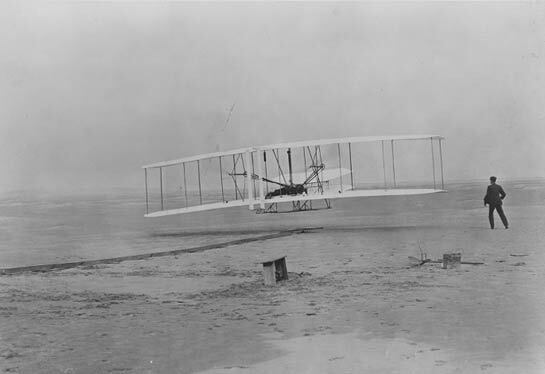 For the first time in history a man launched himself from the ground and flew a powered flight. OK So it only lasted a few seconds and went a couple of hundred feet but it was a start, and it was the start. Now aircraft can encircle the world, carry hundreds of people and drop unclear weapons on any house anywhere in the world. Scary though, and it's and industry that I am facing the prospect of entering. How can I contribute for good? But that's off topic. I have a book on the subject of this first flight, the events that lead up to it and how it began the new way we look at the world. So as I learn more I'll develop this page.